Make learning essential vocabulary words a favorite daily routine! 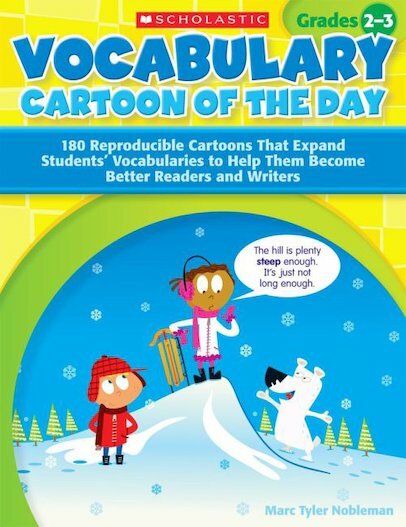 Students will look forward to each day’s new vocabulary cartoon, which identifies the word’s part of speech, provides a simple definition, and uses the word in a sentence that is supported in context by the cartoon. The visual cues and humor of these cartoons work hand in hand to make new words fun to learn and easy to remember! For use with Grades 2–3.